Fernando Maestre, Andrea Castillo-Monroy, Matthew Bowker, and Raul Ochoa-Húeso have a paper in Early View in the Journal titled “Species richness effects on ecosystem multifunctionality depend on evenness, composition and spatial pattern“. Fernando has written a nice lay summary of the research presented in the paper, which we provide below. Also, Maestre et al. used methods in their paper that were published in Methods in Ecology & Evolution, for which Fernando Maestre and Nicholas Gotelli produced a video (embedded at the bottom). 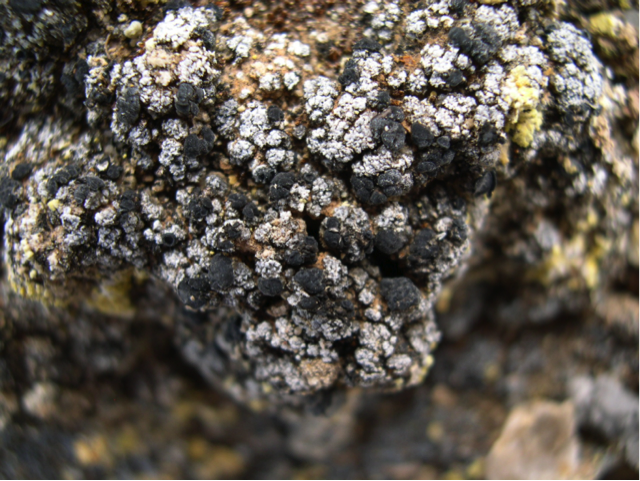 Biological soil crusts (BSCs) are specialized communities formed by mosses, lichens, liverworts, cyanobacteria, and other organisms that live on the soil surface in dryland ecosystems worldwide, where they can constitute as much as 70% of their living cover. These communities strongly influence key ecosystem processes like infiltration, CO2 fluxes and nitrogen fixation and transformations, influence the establishment and development of vascular plants and hold particular microbial, fungal, nematode and microarthropod communities. Therefore, BSCs are crucial to maintain ecosystem structure and functioning in drylands. As noted in the pictures above, which were taken on gypsum outcrops in Sax (Alicante, SE Spain), BSCs are not just beautiful, but are also a good model system for studying important and highly debated ecological questions, such as biotic interactions and biodiversity–ecosystem functioning relationships. Some features of BSCs make them particularly appealing to study how biodiversity and other biotic features, such as the spatial pattern of organisms, may affect ecosystem functioning. The species concept is relatively well-defined within BSC organisms, their functional attributes are also relatively well-known, and estimation and manipulation of biodiversity in experiments is feasible, at least within some groups of BSC biota. These attributes, together with the important ecosystem functions these organisms play, make BSCs an interesting, but clearly understudied community for biodiversity-ecosystem functioning research. In our paper, we used BSCs as a model system to evaluate the joint effects and relative importance of biodiversity (species composition, richness and evenness) and spatial pattern as drivers of ecosystem functions related to nutrient cycling, and to) assess how these community attributes affect ecosystem multifunctionality. 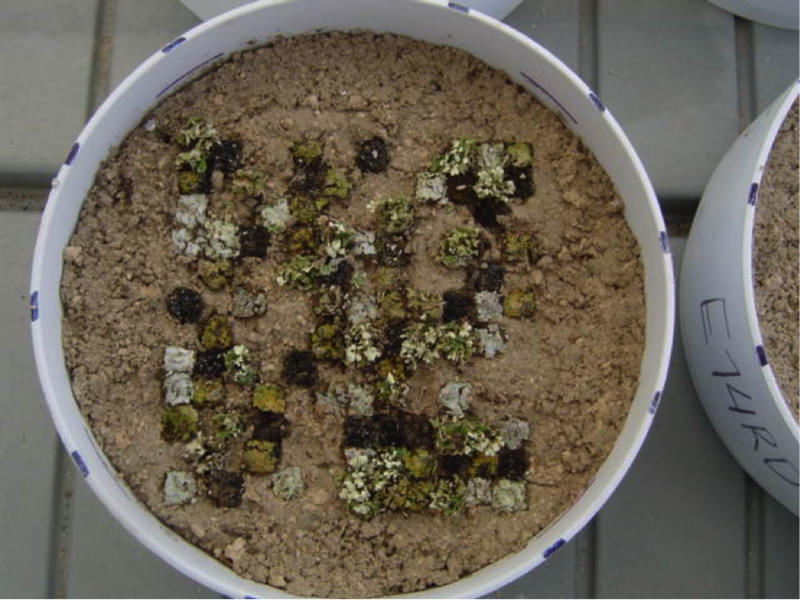 To achieve these aims, we conducted two microcosm experiments using soil and lichens collected in the field (below is pictured one of the microcosm units used), which were maintained over 2.5 years under natural environmental conditions in the plant growth facilities of our university in Móstoles (central Spain). Setting up these experiments involved a quite substantial amount of work, as we had to cut over 25000 (!) 1 cm × 1 cm lichen squares from 10 different species, and to transplant them carefully into the microcosm according to different combinations of spatial pattern (clumped vs. random), species composition, evenness and richness (you can see a video describing how the experiment was set up here). 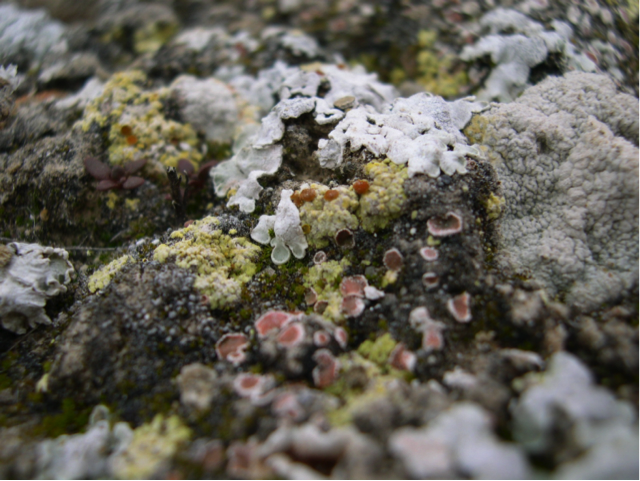 These experiments were somewhat risky too, as nobody has carried out similar manipulations with BSC-forming lichens until then, and thus we did not know at the moment of setup if the lichen species used would survive and grow, and thus prove useful for testing our hypotheses, or if they would all die. At the end, and while some mortality occurred, most of the species used were able to establish and grow in our microcosms, and the experiment yielded very interesting results, with far-reaching implications. Our findings illustrate how different community attributes have a diverse impact on ecosystem functions related to nutrient cycling, and provide new experimental evidence illustrating the importance of the spatial pattern of organisms on ecosystem functioning. They also indicate that species richness is not the only biotic driver of multifunctionality, and that particular combinations of community attributes may be required to maximize it. We hope that our paper, and these pictures too, will motivate further work with BSCs, as these multi-trophic, multi-functional and fascinating organisms can provide us with a deeper understanding of the consequences of biodiversity loss, and help enable a biodiversity-ecosystem functioning theory that is pertinent to the numerous ecosystem services provided by soil organisms. January 31, 2012 in Author post, Photo Feature, Video. yoг photos is very nice!! !